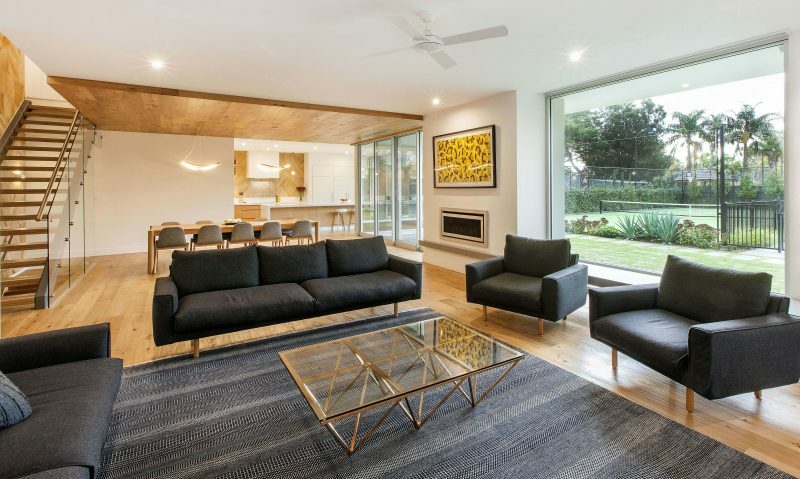 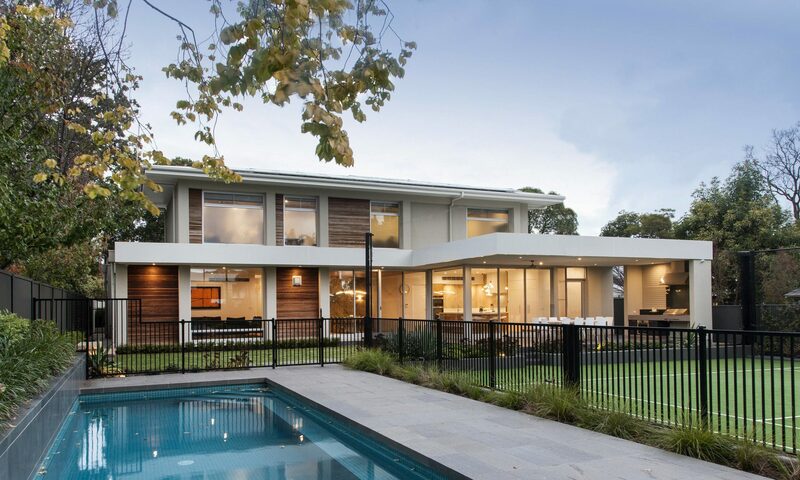 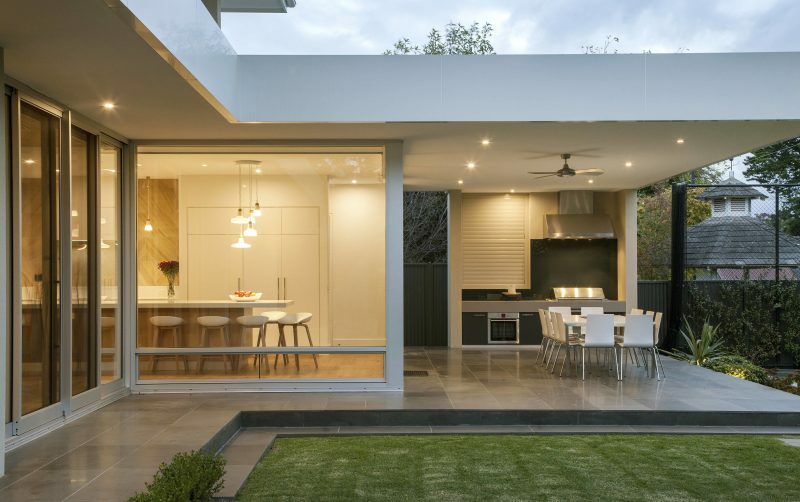 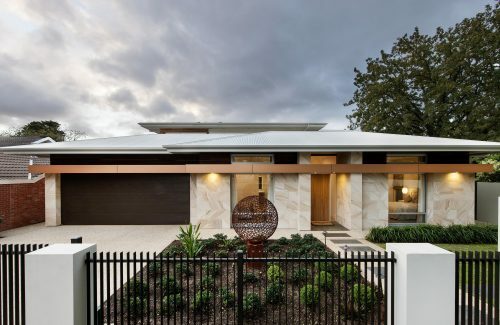 Hidden among the tree lined streets of Eastern Adelaide, this beautifully designed and constructed home oozes elegance. 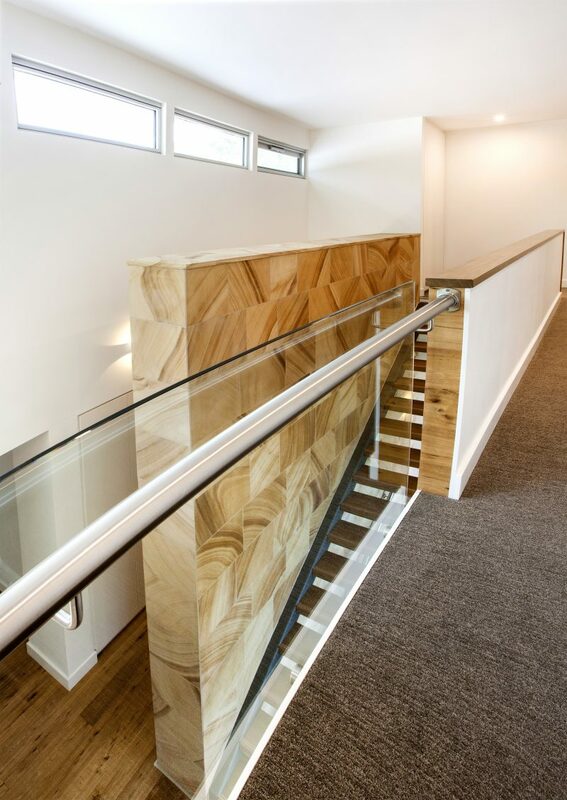 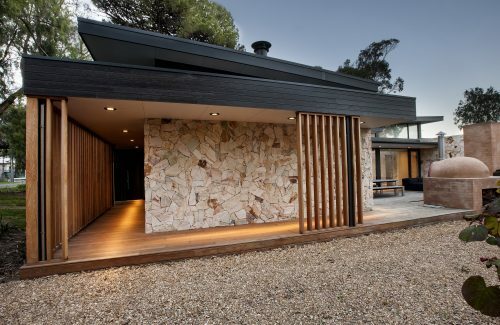 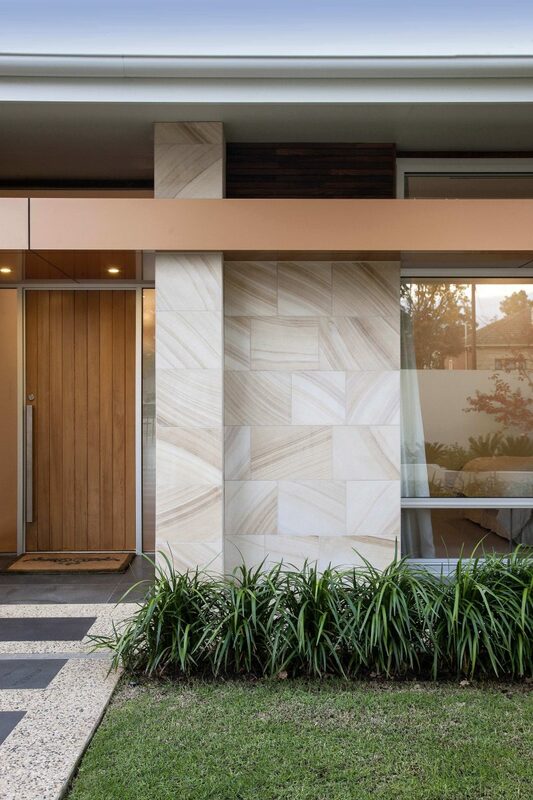 The sandstone that can be seen from the front facade, continues throughout the home and is complemented by the smoked timber cladding which ties the exterior to the street frontage. 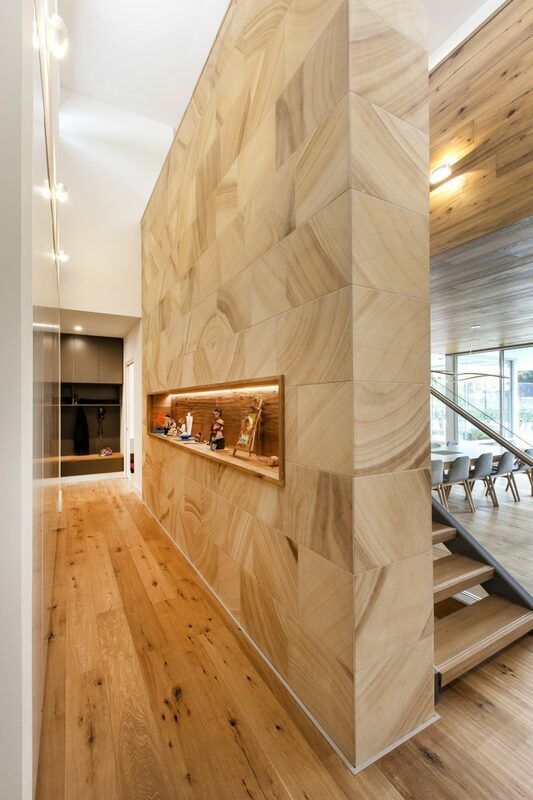 Downstairs, the main bedroom of the home features a luxury sized robe space and generous ensuite. 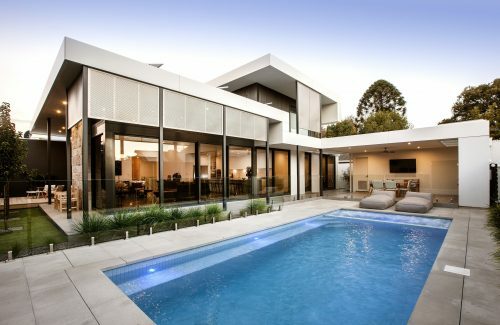 The open plan kitchen, dining and living area over looks the picturesque garden and pool with the tennis court at the rear of the property. 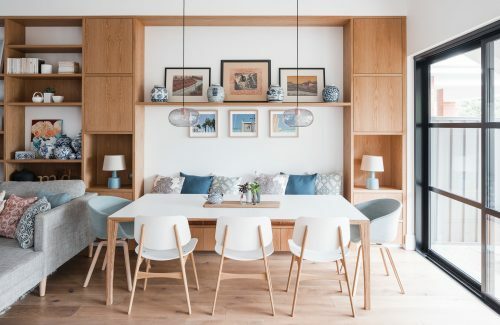 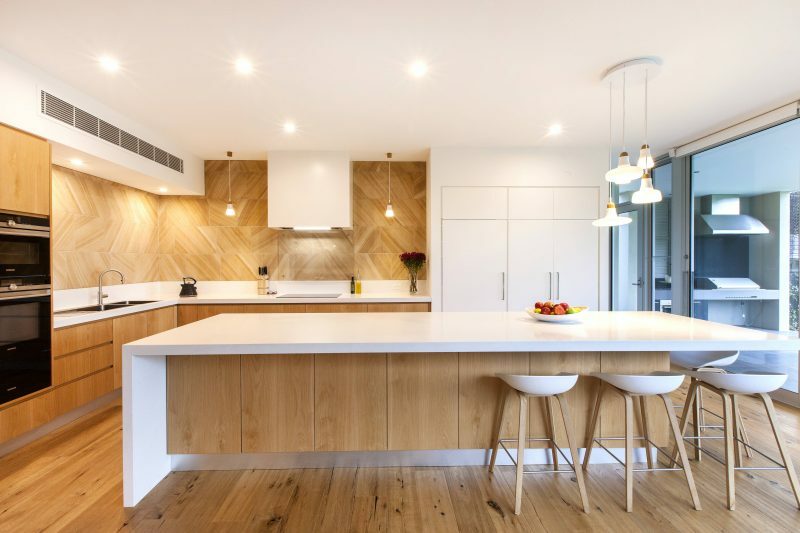 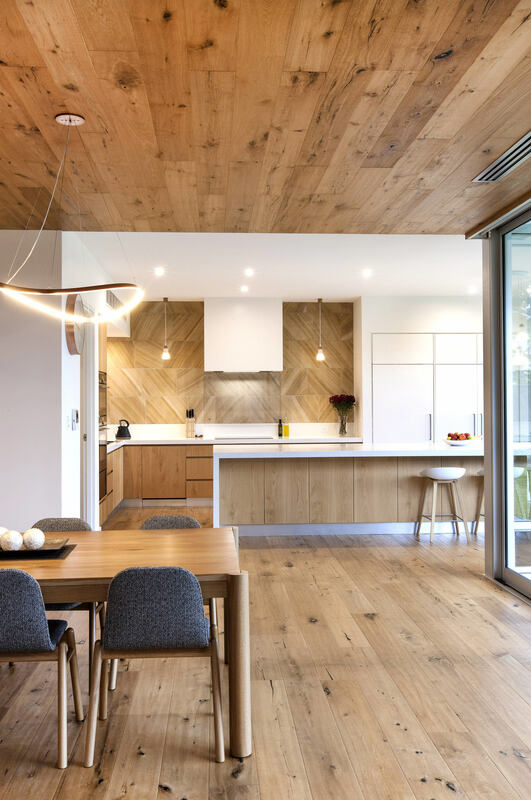 The lowered ceiling over the dining area is clad in timber floor boards and creates an intimate setting while visually breaking up the kitchen and living spaces. 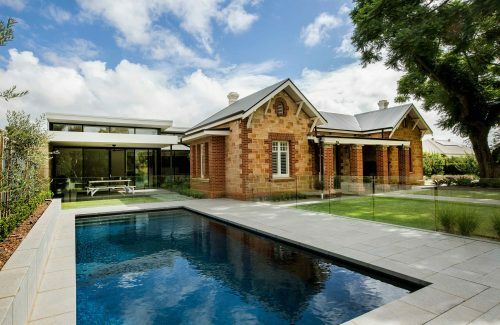 The upstairs of the home, contains another 3 bedrooms each with their own robes, home theatre for the family movie nights and two bathrooms. 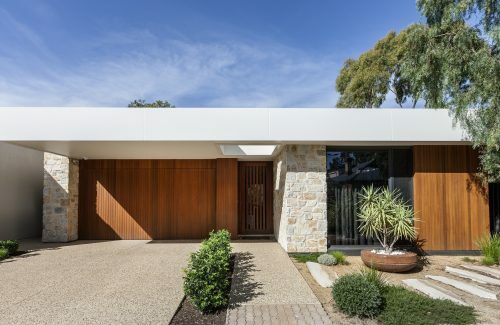 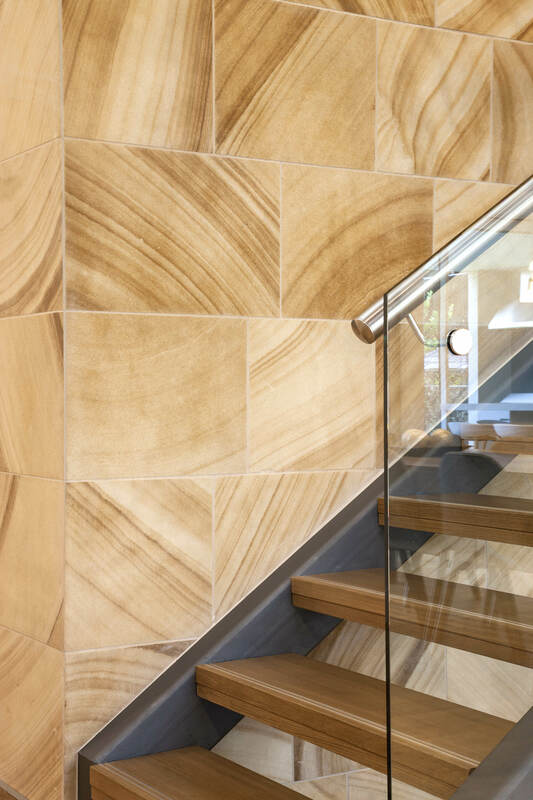 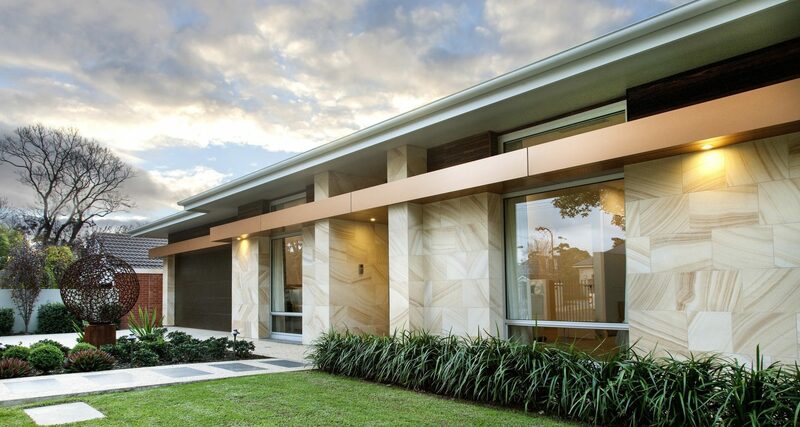 The large central sandstone clad wall acts as an anchor and can be seen from all three levels, while providing a barrier between the open plan living spaces and the three car garage. Subtle copper elements feature throughout the home.